Any modern washing machine is equipped with a door locking device. Such a lock prevents the door from opening during the wash which may cause trouble. Every washing machine locks the door immediately after you start the washing program. This happens due to security issues: imagine what might happen if there is no such blocking – if you or your child come up and open the door during 90° cotton wash running program! The whole amount of “boiling water” would pill on your feet and the consequences would be terrifying. 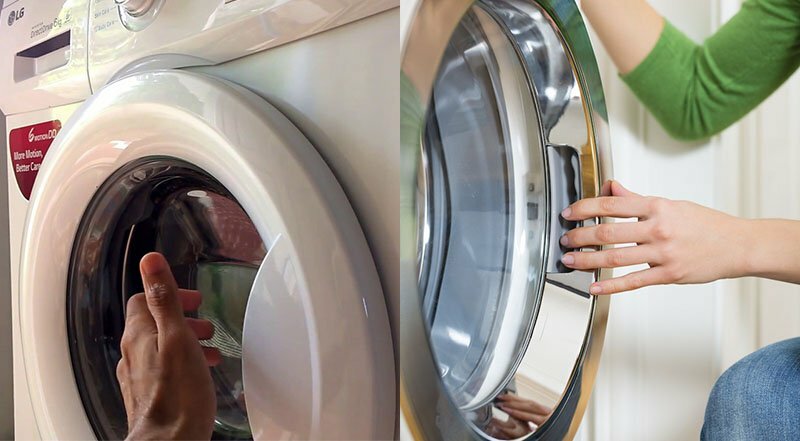 If the washing program is complete but the door still remains locked, then you should not panic – in most washing machines, the door does not open immediately after the end of the washing program – it happens after 1-3 minutes. Again, this is done for security purposes. The second reason is that the drum heats up during washing and the lock heats up as well. If you open the door immediately, you might get burned, so the lock must be cooled down. If your washing program has just stopped and the door is blocked, then wait a while (1-3 minutes) and try to open it again. There is some water left in the washing machine drum. 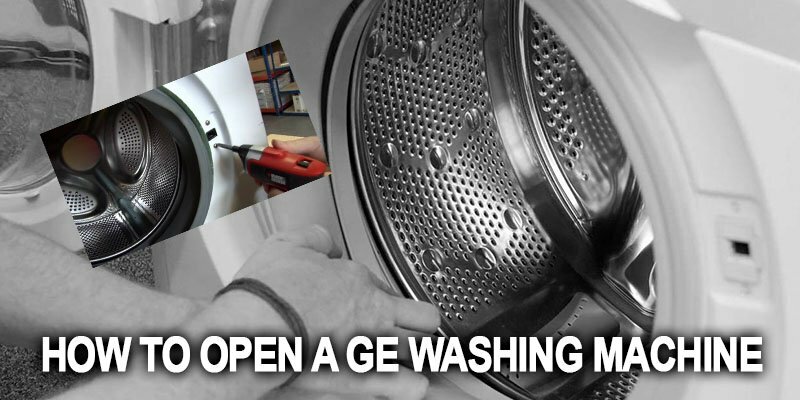 One of the reasons why the door won’t open is because there is still some water left in the washing machine drum. At first, look through the glass in the door and check if there is any water left there. This does not happen very often, but it still happens from time to time because of the impatience of owners who try to open the door with all their might while it is locked – and simply break the handle. If it is your case, then you should simply repair the handle. The lock may become worn or broken over and the door will not open. In this case you will need to replace it with a new one. A door lock problem may occur if the water level sensor does not send the correct signal. Simply put, the machine thinks that there is still some water left inside the drum, although it is no longer there. In this case, the water level sensor must be replaced. Before dealing with a breakdown of any of the parts that led to the blocking of the door, you must first open the locked door itself, and since the machine is not able to do this, you will need to perform some manipulations manually. To do this, you will need to put your hand inside the machine from the bottom or top parts, find the door lock and unlock it (you will need to remove the top cover by removing two bolts at the back and slide it away from you).